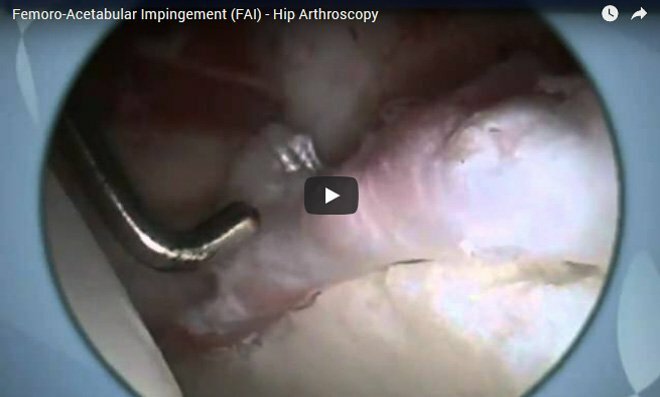 Femoro-acetabular Impingement (FAI) is a common generator of pain in the hip. 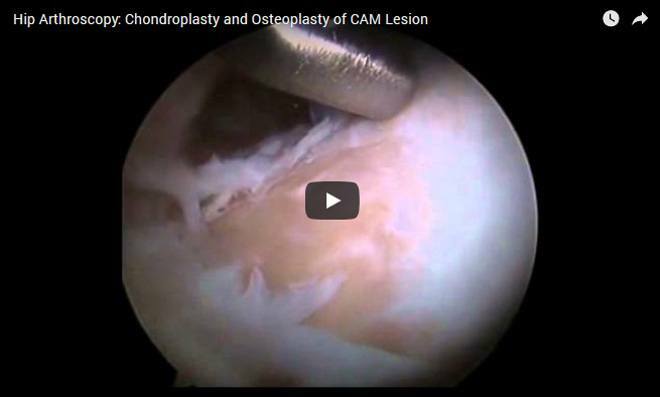 Impingement can lead to labral tears and eventually advancement of osteoarthritis. Impingement is most commonly described as anatomic bony variability of the acetabulum (socket) and femur (leg bone) that causes the two bones to rub against each other during certain hip motions. There are two distinct forms of hip impingement: too deep or over-coverage of a socket, known as Pincer impingement and a non-spherical femoral head, known as Cam impingement. Some hips have both Pincer and Cam impingement, known as Combined impingement. During hip motion, either during sports or with daily activities, the non-spherical femoral head and socket can continually meet and rub against each other, causing pinching or entrapment of the labrum, commonly leading to a labral tear or joint wear-and-tear. 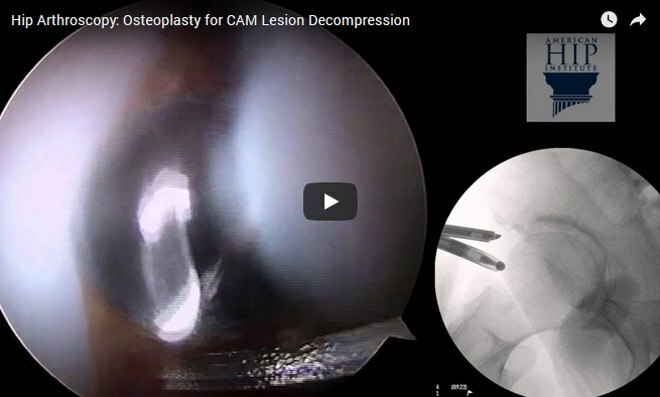 Labral tears can be repaired arthroscopically. 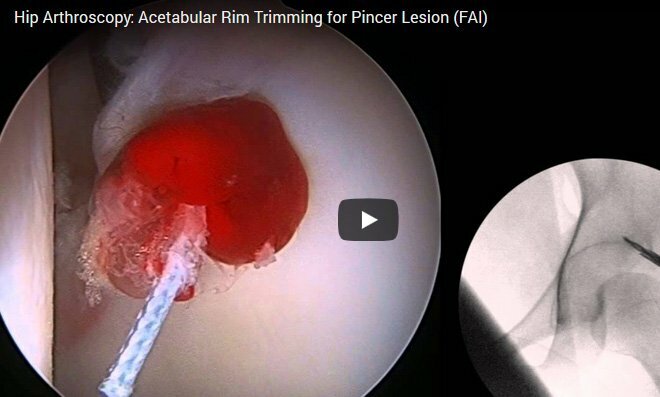 When repairing a labral tear, the mechanical, or bony, impingement must also be addressed. 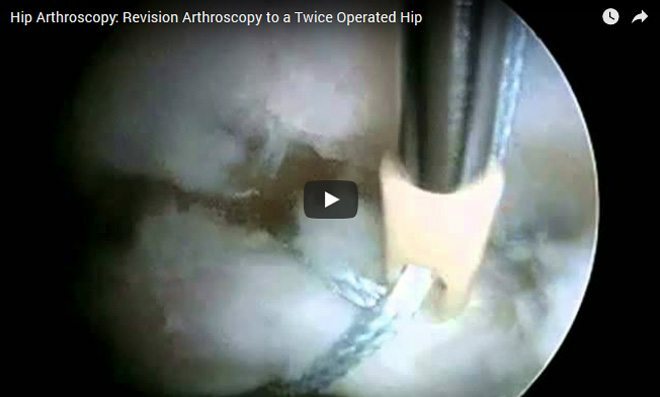 Arthroscopic treatment involves trimming the overhang of the acetabular rim, known as an acetabuloplasty and shaving down the bump on the femoral neck, known as a femoroplasty. A femoroplasty involves re-shaping of the femoral head to restore its spherical contour. Both procedures help restore the ability of the ball-and-socket joint to move in all directions without the friction of impingement. The iliopsoas (hip flexor) muscle runs along the front of the hip, connecting the spine to the femur. With iliopsoas impingement, the muscle and tendon of the iliopsoas become tight. In many cases, this is associated with a "snapping hip," in which the iliopsoas tendon snaps over the labrum and femoral head. The tightness of the iliopsoas causes rubbing against the labrum which can cause irritation and tearing.